Master Crab King is popular among the residents in Punggol. 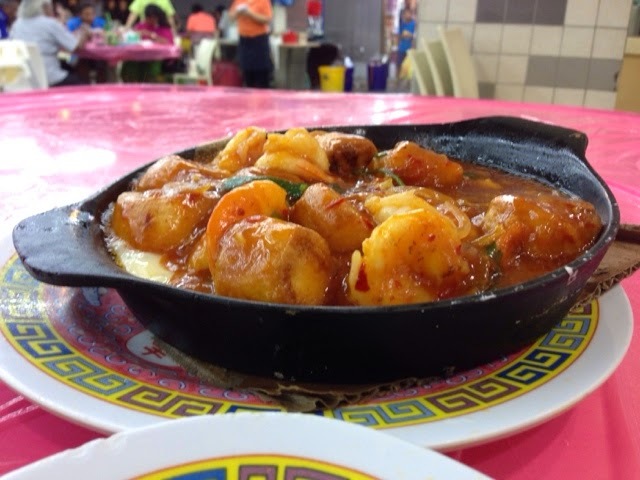 Located in one of the coffeeshops in Punggol, the restaurant was bustling with customers and diners. Like their name, their specialty was their crab dishes. The crabs are always sold out at the restaurant. Most of the time, we will have to order the crabs in advance. This time, we did not managed to get the crabs. Instead, we ordered the other zi char dishes. 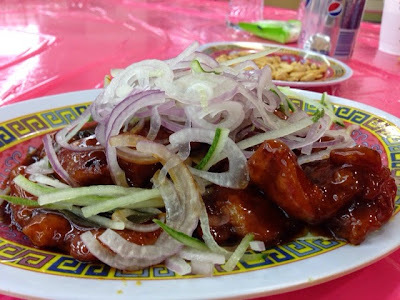 Pork Ribs with Special Sauce was simple and ordinary. The pork ribs were tender and moist but the sauce was ordinary. I was expecting better. 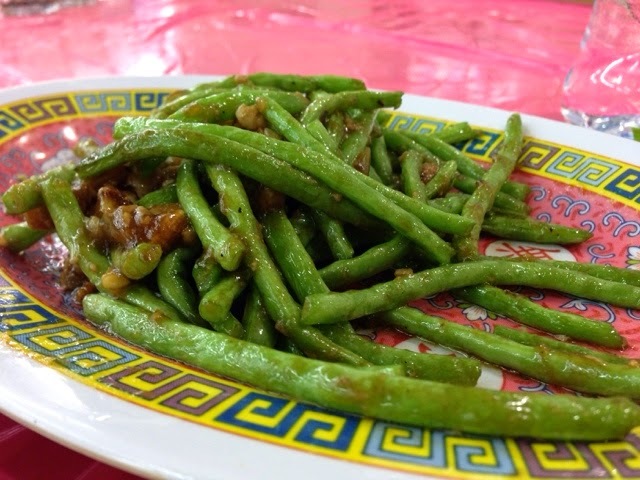 Fried French Bean with Minced Meat was a little limp and the sambal sauce was quite disappointment. Perhaps that the restaurant was too busy that the quality was sub-par. 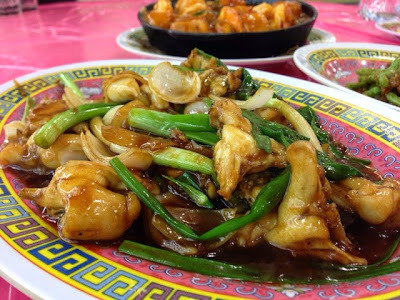 Fried Frog with Ginger and Onion was the first time I ordered this dish from a zi char restaurant. The dish was cooked with spring onions and the frog legs were freshly prepared. Hot plate beancurd with seafood was delicious and the seafood were fresh. Atmosphere A stall within a coffee shop, bustling with people ordering and waiting for their food. At least 20 mins wait is expected.